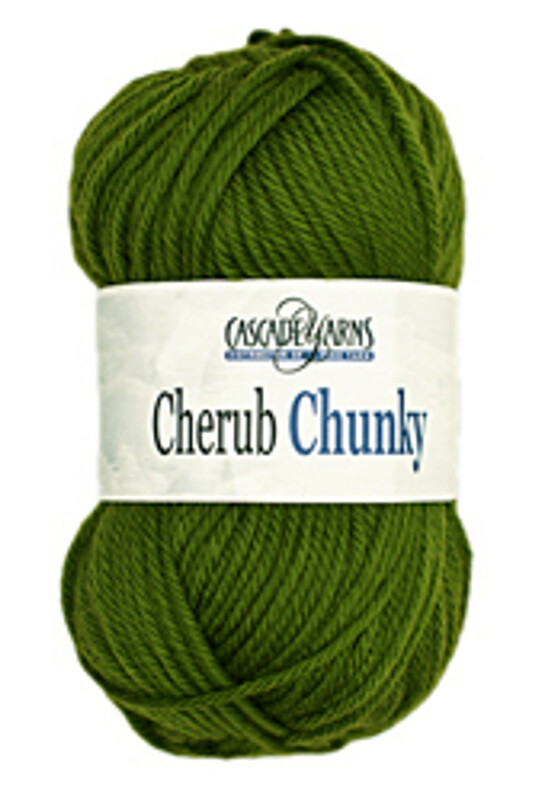 Cherub Chunky is a delightfully sweet and soft blend that is washable. The colors are true and clear. I'd love an oversized sweatshirt style in this yarn! It is also perfect for baby garments and baby blankets. And while it is a bulky yarn, it is soft enough to crochet a thick-squishable garment. And the price is very very sweet! Cherub Chunky is the bulky version of our Cherub family yarns. It's machine washable and machine dryable! It is an ideal mix of acrylic and nylon, making it soft and durable. This yarn is perfect for baby and kid apparel, blankets, and other hard-wearing hand knit or crochet items.